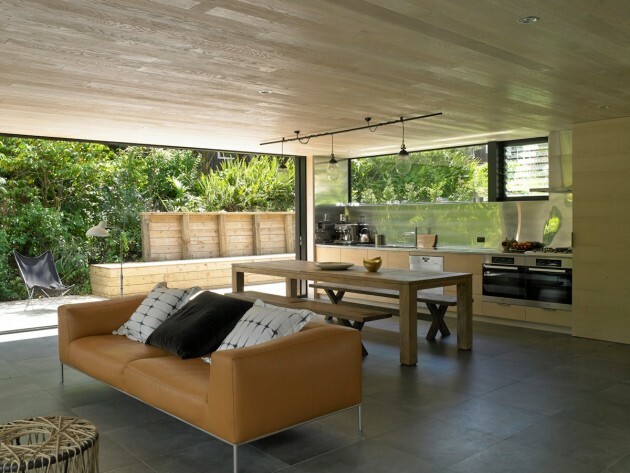 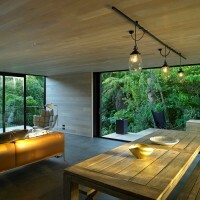 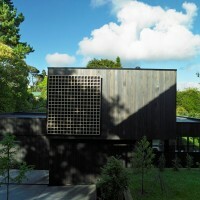 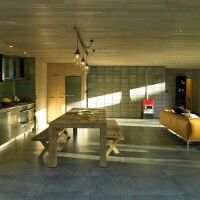 Hamish Monk Architecture designed the Waiatarua House in Auckland, New Zealand. 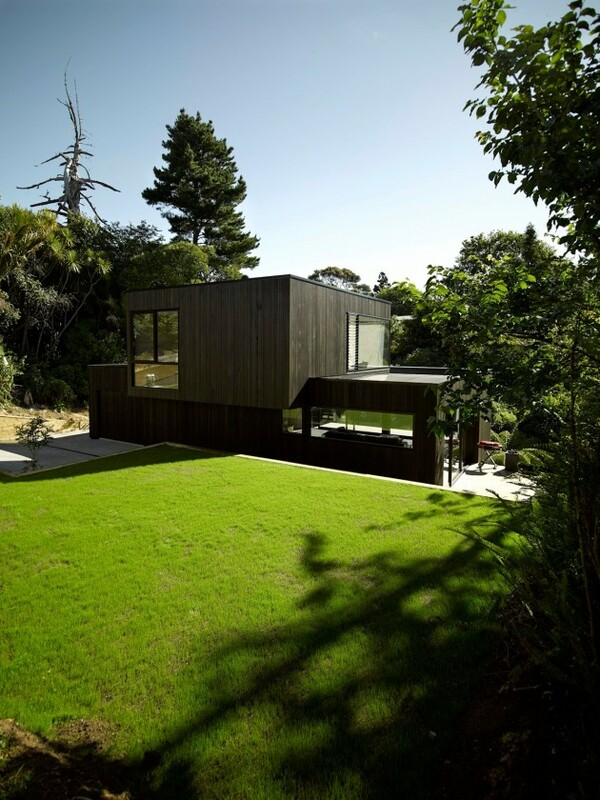 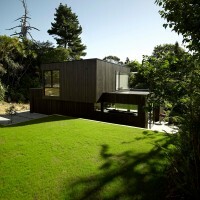 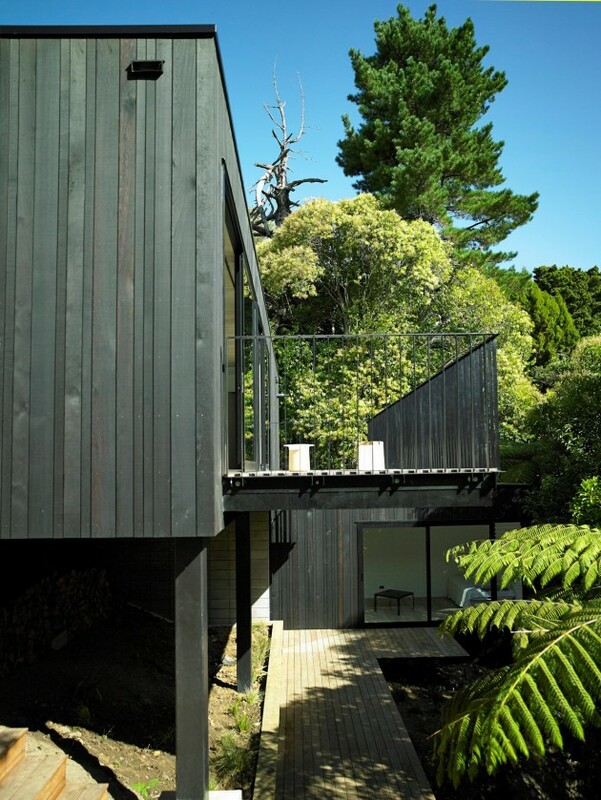 The brief was for a new house on a challenging, steep site in a bush clad creek gully. 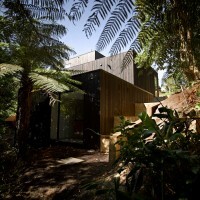 One of the design challenges was to insert a bold intervention into a sensitive bush reserve whilst still maintaining a sense of modesty and poetic. 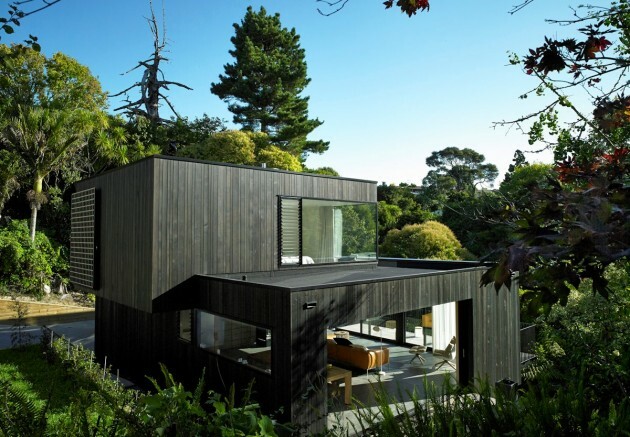 The house was designed for a couple in their mid-sixties who had always wanted a house surrounded by nature though not far removed from city life – a place or respite from the speed of city life. 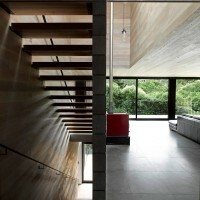 Conceived as a series of sculptural components, the design plays on purity and scale of the program articulated through three simple elemental forms that step down the site towards the creek – the roof of one floor creating a level platform for the next. 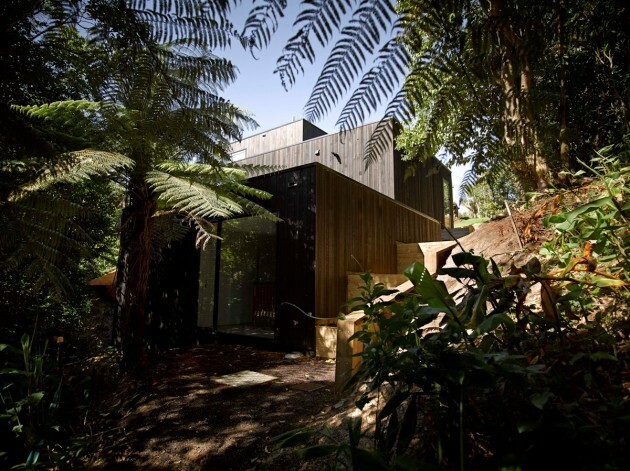 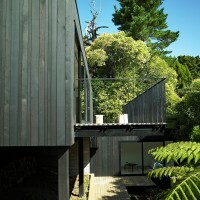 The exterior is black stained timber and appears as a dark silhouette behind the veil of green foliage provided by the trees. 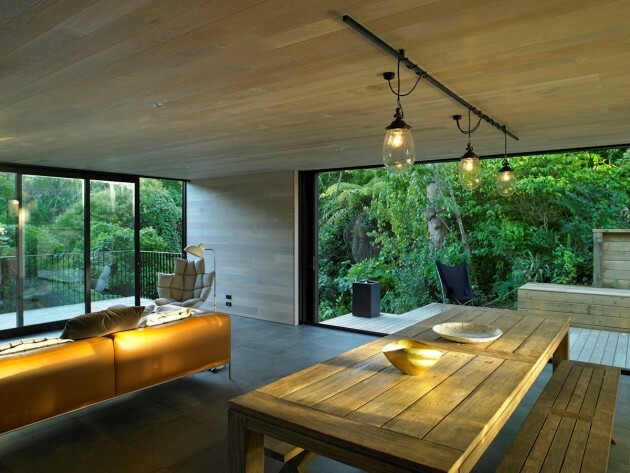 The design intentionally does not try to compete or mimic the wild beauty and intricacy expressed in surrounding natural environment, but rather assumes quiet, understated position in contrast – a reductivist idiom, stripped of excessive articulation and noise. 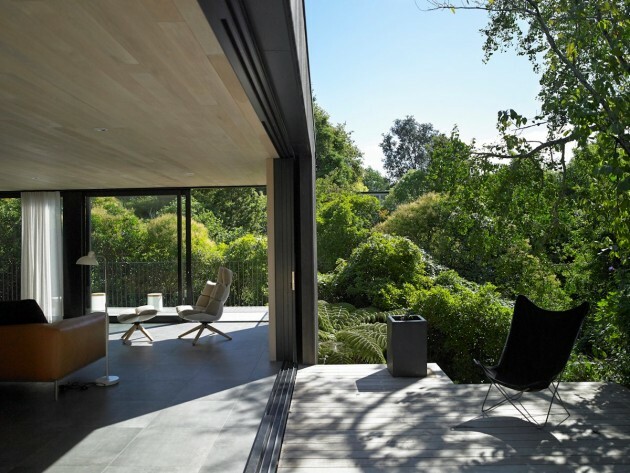 From the point of entry the house offers a range of spatial experiences across the width of the floorplate; transitioning from an almost subterranean position in the landscape to an elevated point perched amongst tree canopies. 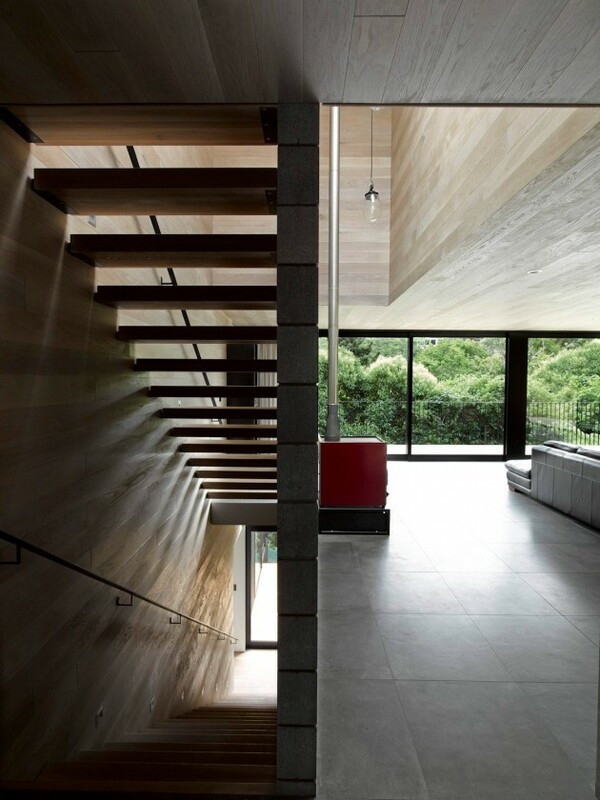 The parti for the interior explores a sterotomic spatial diagram, where the overall volume of the house is carved to accommodate vertical circulation and a number of functional overlays. 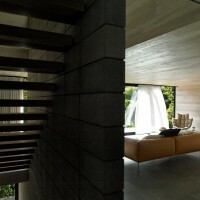 Rooms are served by, and branch out from a vertical circulation shaft that runs the full height of the house. 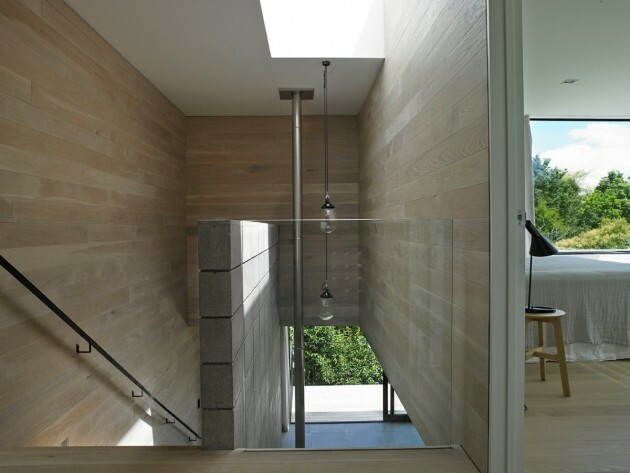 Bleached, buffed and then oiled to accentuate grain American oak panelling is applied to ceilings and walls to create a singular materiality and serve as a counterpoint to the exterior. 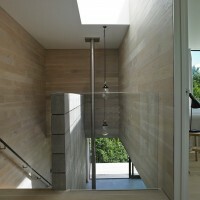 The top floor accommodates a small study nook at the top of the stair landing. 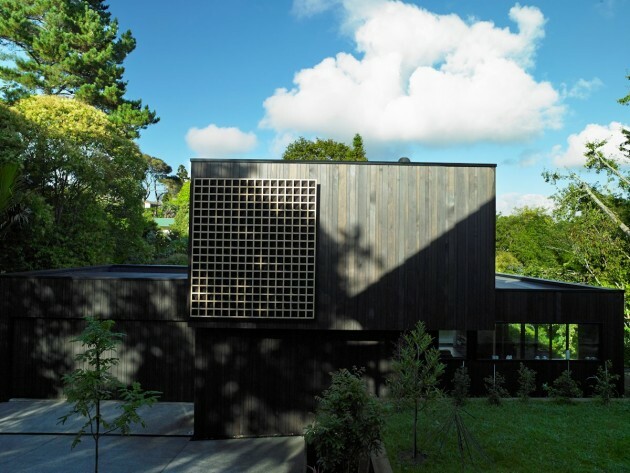 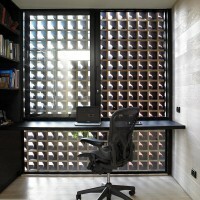 An oblique geometric screen orientates views and allows natural light to permeate this area without unwanted views to the neighbouring property.